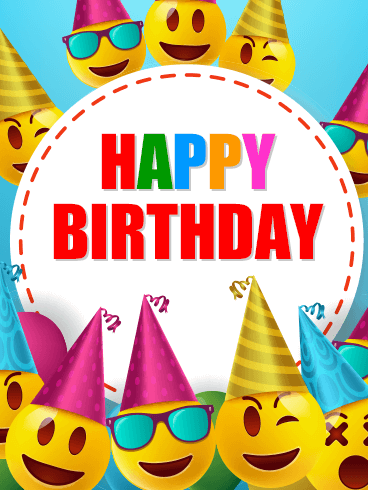 Every life is like a light shining bright and on your birthday every year, that light shines brighter and more fiercely than ever. 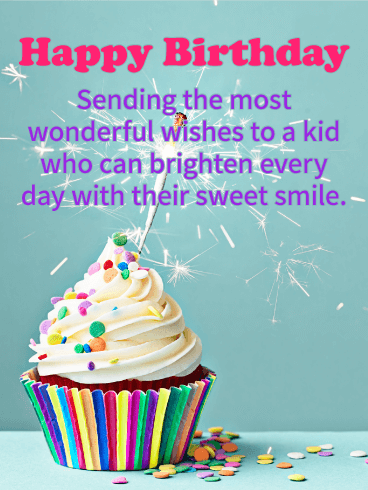 For your loved one's birthday, use this Happy Birthday card to show them how much you love the light that they bring to the world. 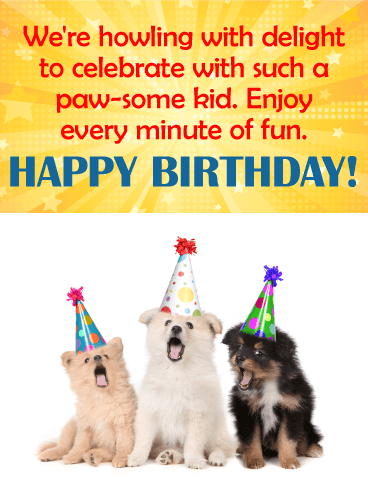 No one will ever mean more to you than they do, so use this birthday card to give them a day they will never forget! 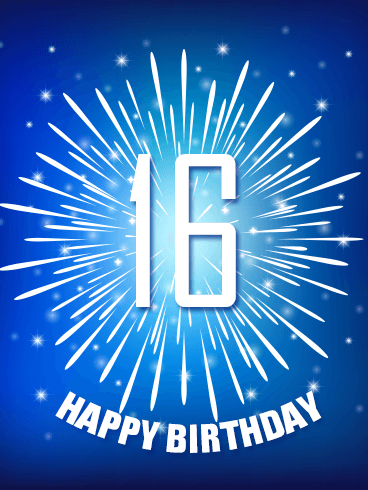 This is not just any birthday, it's your loved one's Sweet Sixteen! Every girl dreams of her 16th birthday and the celebration she'll have with the people who mean the most to her. 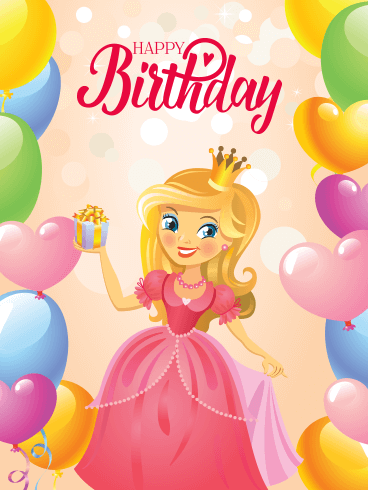 To help make this the best day ever, send the pinks, hearts, and glitter on this Happy Birthday card! With such a special gift, you can make her feel like a queen on her special day! 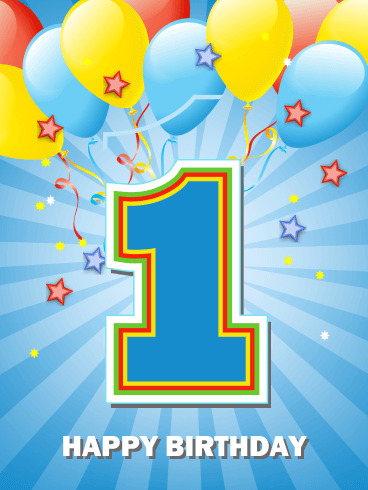 It's that time... a special little girl in your life is turning one! 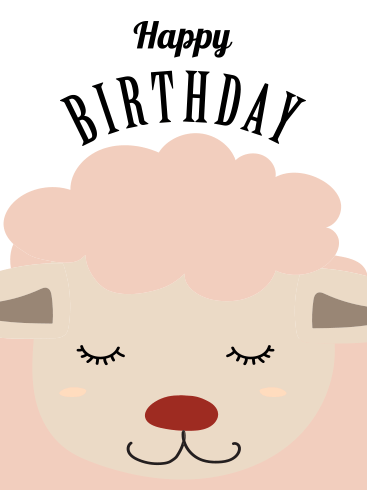 Lucky for you, we've got the birthday card you've been looking for. This pink gem is tons of fun, with little pops of color and a gradient background. The subtle flowers and bubble letter font add to the excitement of this card, making it a truly perfect pick. 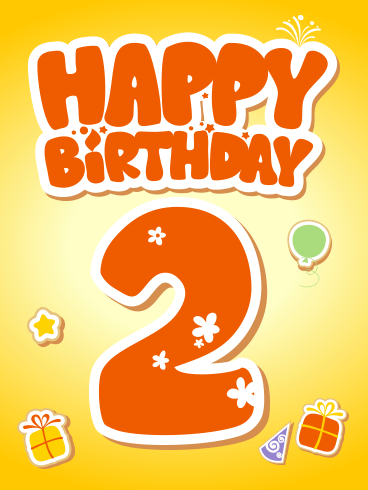 Celebrate the soon-to-be two-year-old in your life with this truly unique birthday card. 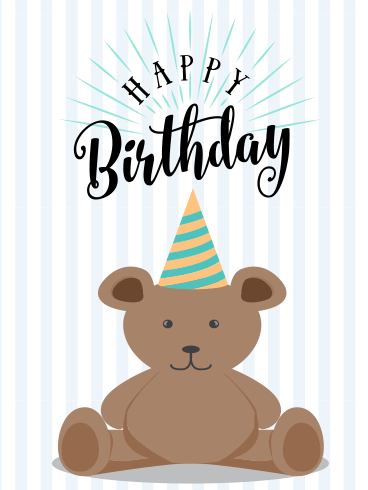 This is one of the rare two-year-old birthday cards you'll find that isn't completely over the top or looking more suitable for babies. 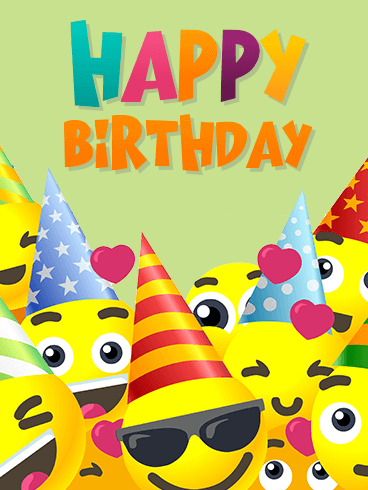 After all, any kid is bound to love presents and stars and balloons and party hats, plus the fun mix of colors! This is a definite win! 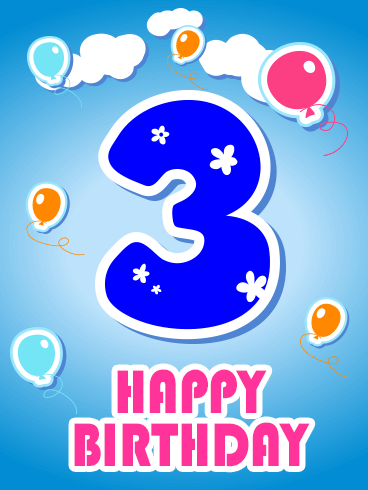 What a time to be turning three! 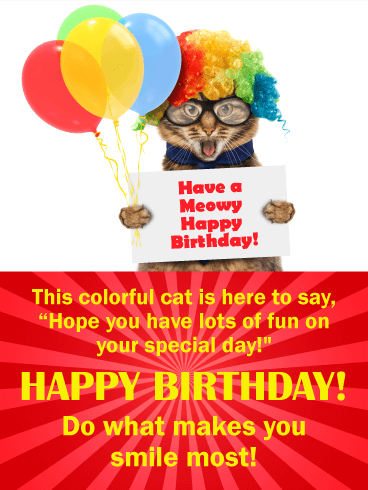 This birthday card is one-of-a-kind, different from what you'll find anywhere else. 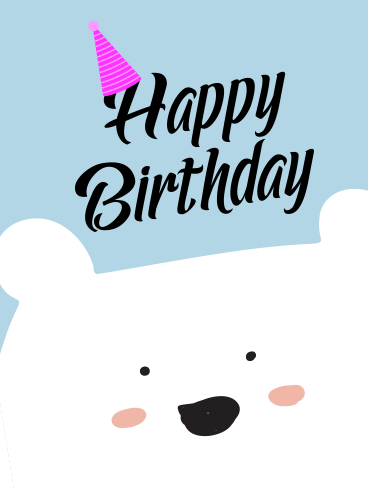 The sky and cloud theme fits in perfectly with the age of the recipient without being too juvenile, making this a card that will please kids and their parents alike. 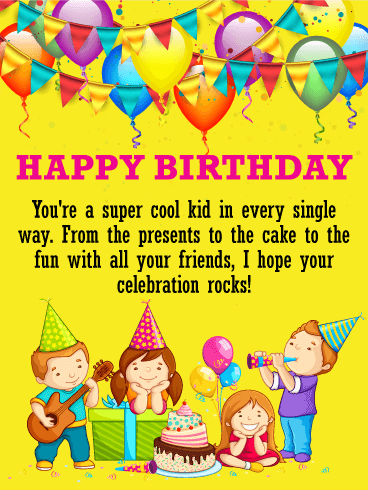 The floating balloons and fun font only add to the perfection of this birthday card. 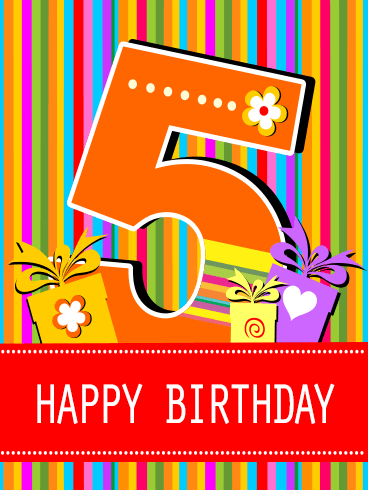 For the child in your life turning six years old, look no further than this blast of a birthday card. 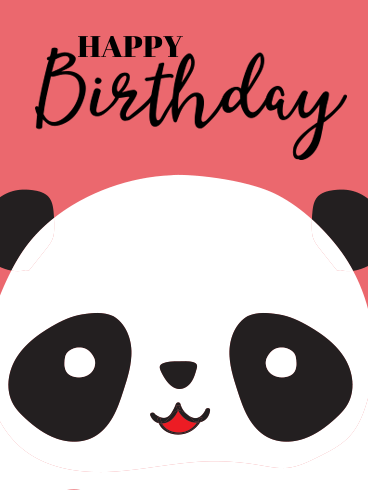 It's impossible to look at this birthday card without feeling joy! 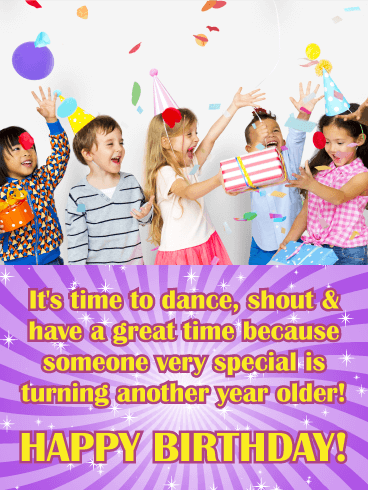 The neon back-ground is age appropriate and fun, and the confetti only adds to the excitement. 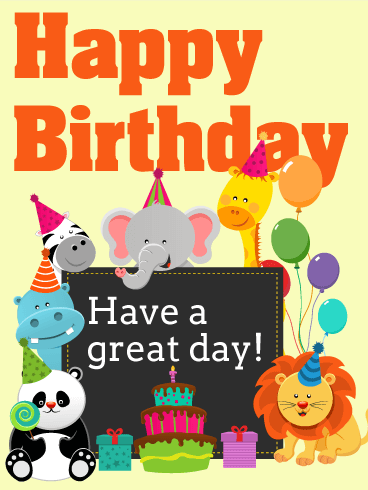 Add in the fun font of the words and the multicolored balloons, and you've got a birthday card that's sure to be a hit. 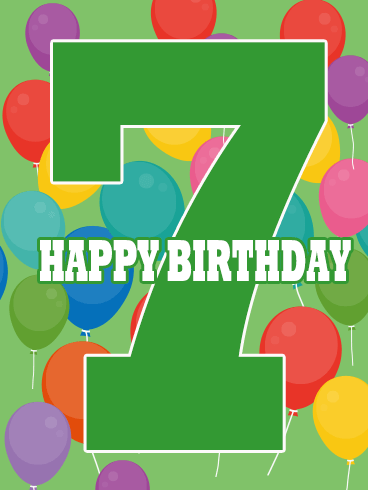 Turning seven years old has never been this much fun! 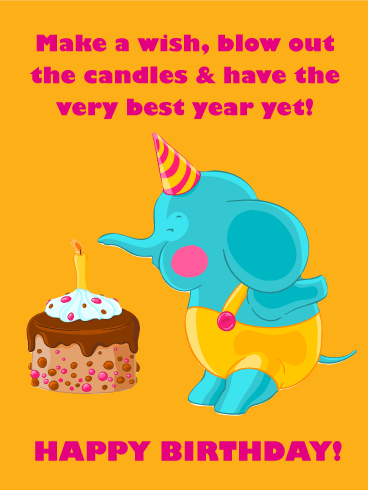 This bright birthday card is sure to be a hit with the kid in your life hitting this next milestone. 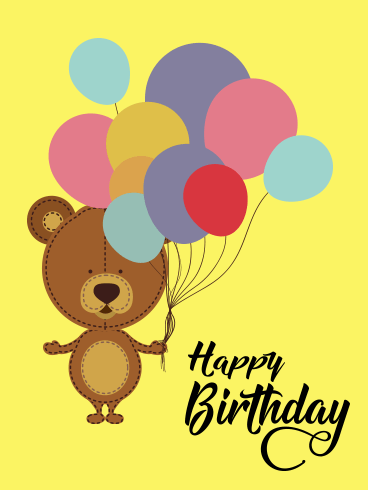 The green color scheme ties the birthday card together nicely, while the colorful balloons add a whimsical element that fits in perfectly with the target audience. Go snag up this card! 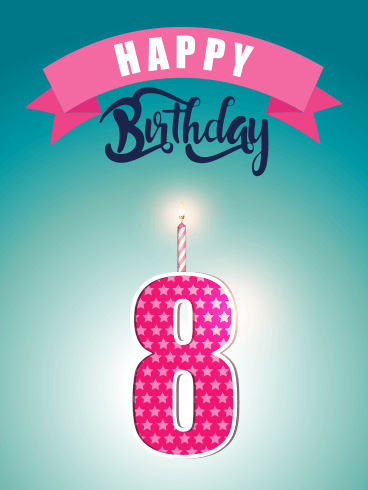 What's greater than turning eight? 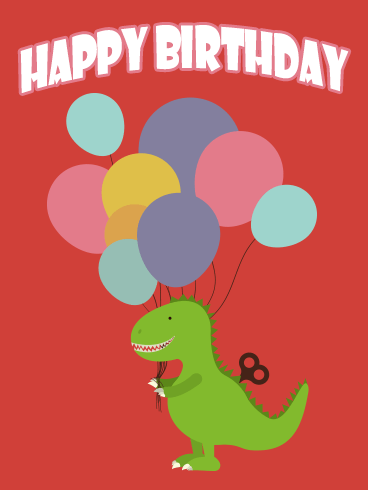 This rad birthday card just might be! 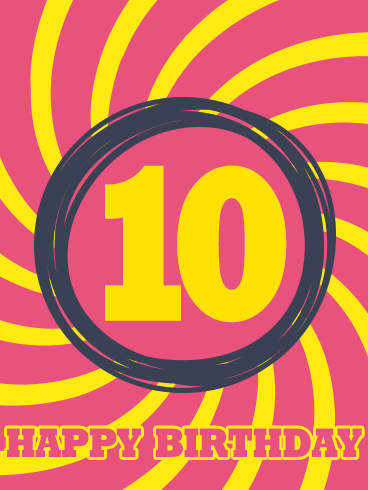 The pink star pattern of the eight is tons of fun, while the multicolored background offers a nice, subtle contrast. 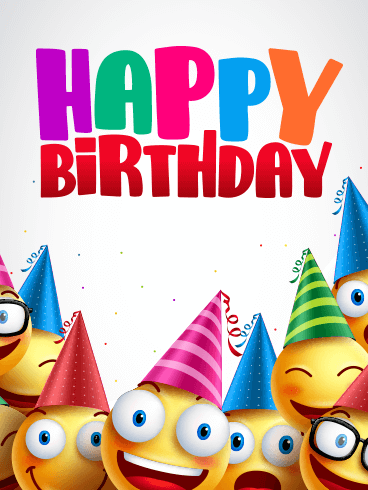 Add in the whimsical fonts of "Happy birthday" and you've got a card that's unlike any other. This is a must-have for the soon-to-be eight-year-old in your life. The Decade. 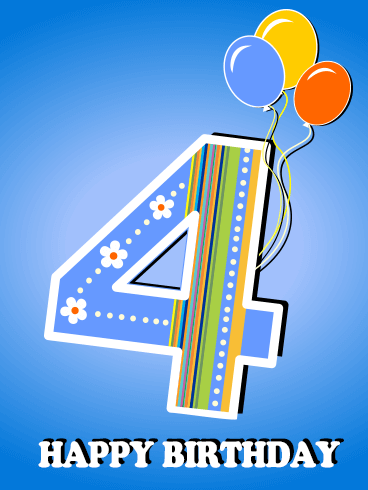 Our first double digit anniversary of birth. Such a grand day! 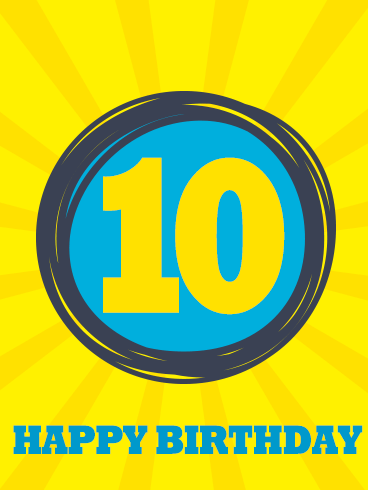 Let the hopeful adolescent in your life know that you appreciate and respect the giant step forward the decade celebration represents, with this bold Happy 10th Birthday Card. 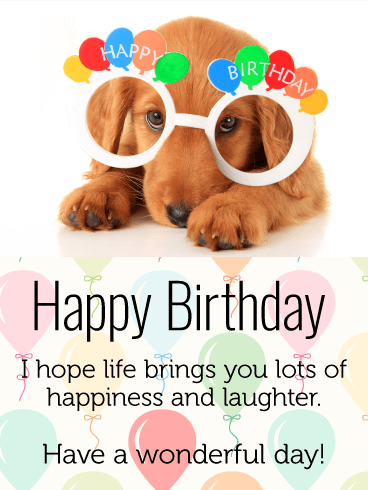 Its vibrant fonts and colors, combined with the elegant simplicity of the message, will offer the celebrant the gift they really want. The love and respect of friends and family. Hey Hey whaddaya say!? I hear it's somebody specials 10th birthday!! 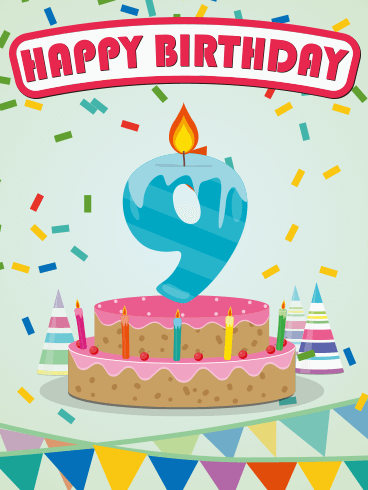 Let the fresh faced and bright-eyed adolescent in your life know that today is just for them, with this colorful Pink Happy 10th Birthday Card. 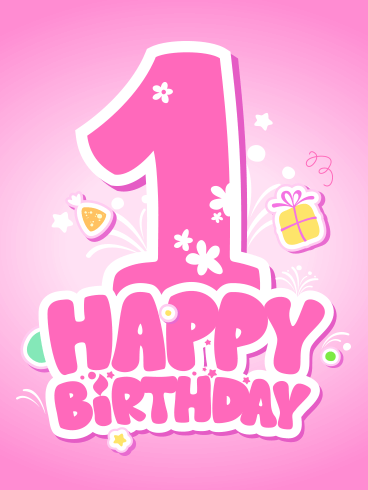 This cards pink and yellow background represent the dawn of a new decade of fun, learning, and adventure. With this card, they'll remember that you were with them at the start of something great! 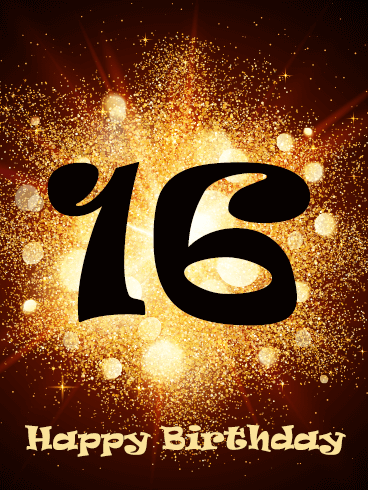 What color says Sweet 16 do you think? Could it be a vibrant pastel shade of pink? What treat suggests joy, just for joys sake? I'd volunteer a frosting covered cupcake! And in a bubble print, what will it say? 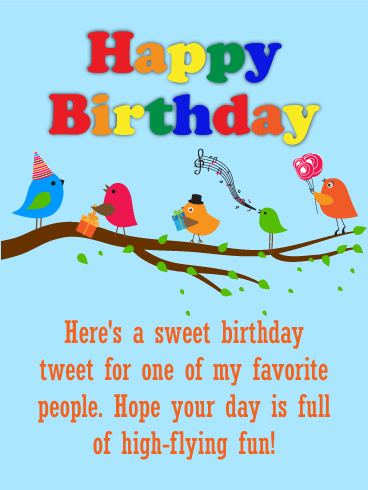 Across the top of the card; Happy Birthday! 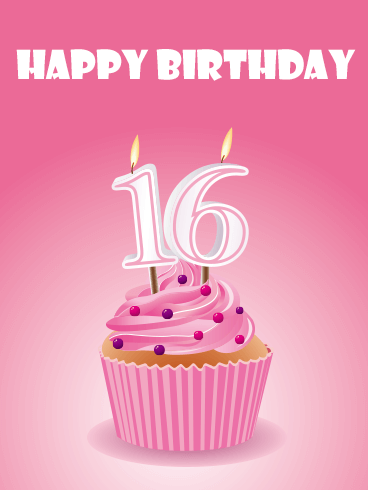 You'll never get burned, roasted, or charred, with the Pink Happy 16th Birthday Cupcake Card! 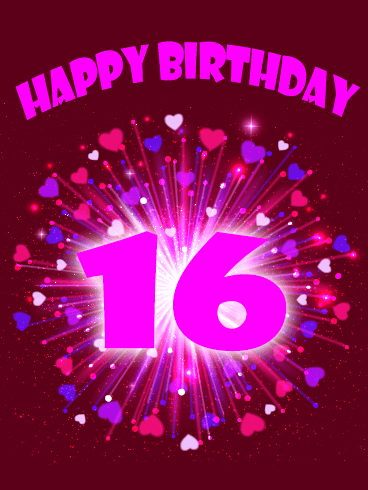 This wonderful day doesn't have to be hard, with this sparkling glittery Sweet Six-teen birthday card! Welcome warmly your favorite teen to their next great milestone in life with these vibrant and bold well wishes written in gold over pink to purple micro-dots. 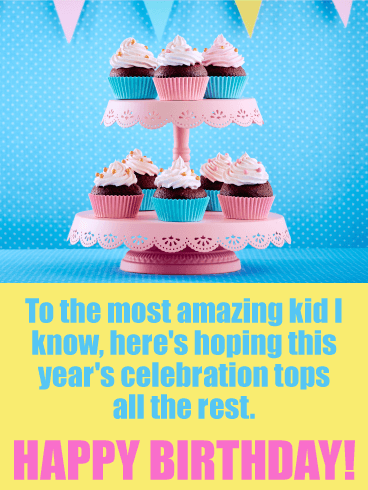 Give the teen in your life a card as bright as their future. 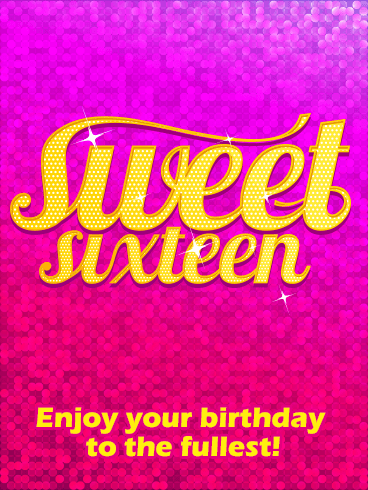 It's sweet to be six-teen. 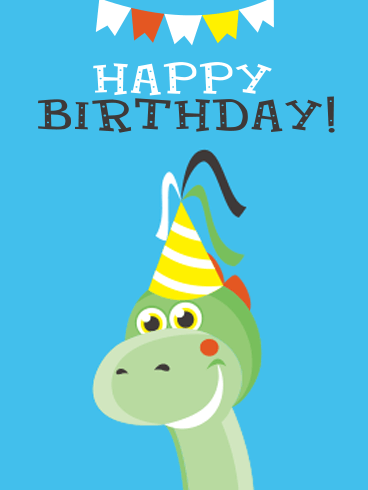 Balloons and confetti on a backdrop of pale green, say happy birthday! 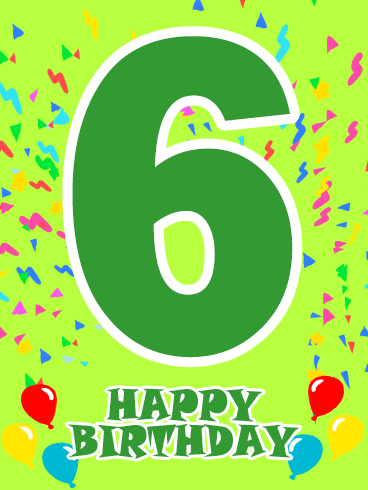 You are six-teen! 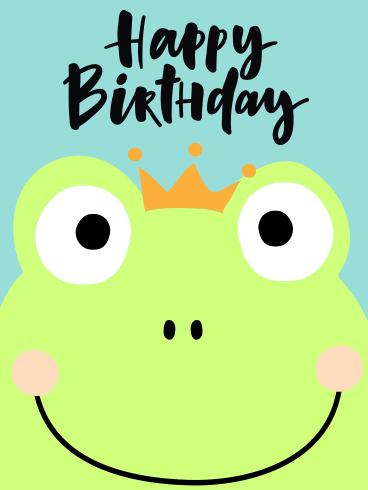 The Happy 16th Birthday Card, in its fun artistic style, is just the birthday card for the burgeoning and blossoming creative soul in your life. 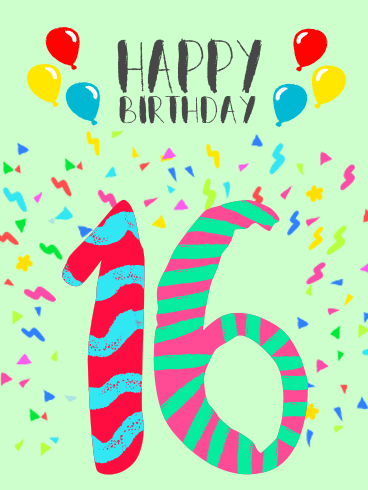 Add a splash of color to an already auspicious day and wish them all the best in the new challenges and adventures that await in the coming year with this Happy 16th Birthday Card.